Innovative easy Smart Swabs soft spiral ear cleaner smart swab. High quality. Touch-free disposable tip, soft and flexible.The spiral grooved head is designed to go the perfect distance into the ear. Easy to use. Simply insert, then twist in the direction of arrow. Gentle and effective. 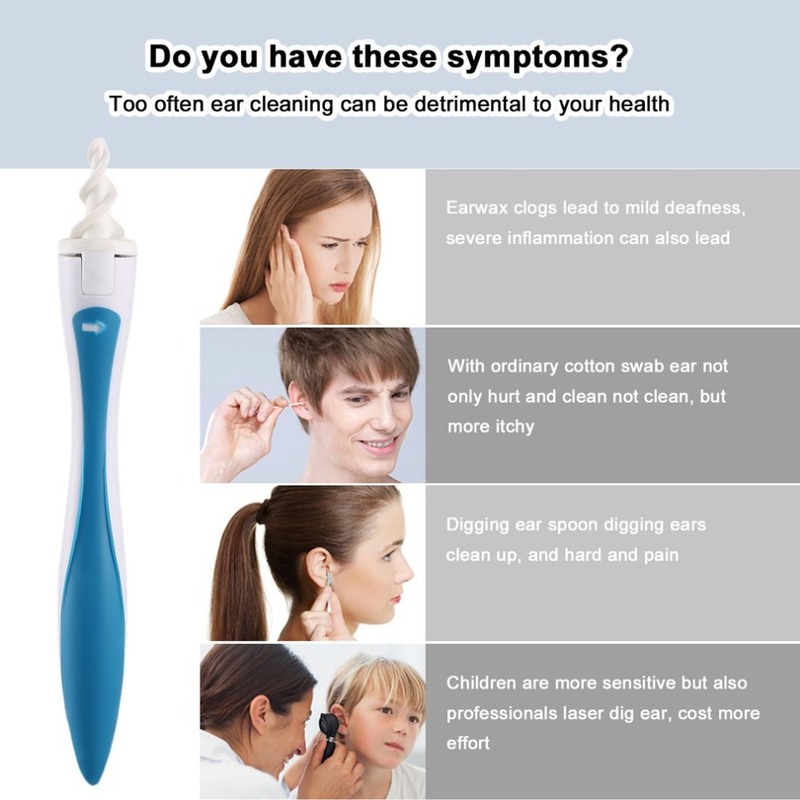 Safe way to clean your ears and prevent earwax buildup. Friendly Tips: The size is measured by hands, please allow minor error of measurement. Photo color might be a little different from the actual product due to color display of different monitors.